The Lapland War (Finnish: Lapin sota; Swedish: Lapplandskriget; German: Lapplandkrieg) was fought between Finland and Nazi Germany effectively from September to November 1944 in Finland's northernmost region, Lapland, during World War II. Although Finns and Germans had been fighting the Soviet Union (USSR) together since 1941 during the Continuation War, the Soviet Vyborg–Petrozavodsk Offensive in the summer of 1944 forced Finnish leadership to negotiate a separate peace agreement. The Moscow Armistice demanded Finland break diplomatic ties with Germany and expel or disarm any German soldiers left in Finland after 15 September 1944. The Wehrmacht had anticipated the turn of events and drawn up plans for an organised withdrawal to German-occupied Norway called Operation Birke (Birch). Despite a failed offensive landing operation by Germany in the Gulf of Finland, the evacuation proceeded peacefully at first. The Finns escalated the situation into warfare on 28 September after Soviet pressure to adhere to the terms of the Armistice. The Finnish Army was required by the USSR to demobilise while at the same time pursuing German troops out of Finnish soil. After a series of minor battles, the war came to an effective end in November 1944 when German troops had reached Norway or its vicinity and took fortified positions. The last German soldiers left Finland on 27 April 1945 and the end of World War II in Europe came soon after. The Finns considered the war a separate conflict because hostilities with other nations had ceased after the Continuation War. 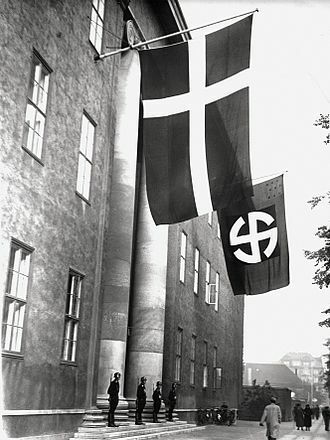 From the German perspective, it was a part of the two campaigns to evacuate from northern Finland and northern Norway. Soviet involvement in the war amounted to monitoring Finnish operations, minor air support as well as entering north-eastern Lapland during the Petsamo–Kirkenes Offensive. Military impacts were relatively limited with both sides sustaining around 4,000 in total casualties—although the Germans' delaying scorched earth and land mine strategies devastated Finnish Lapland. 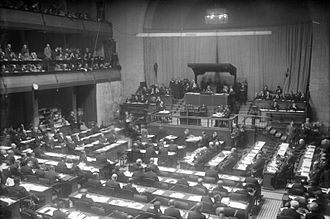 The Wehrmacht successfully withdrew and Finland upheld its obligations under the Moscow Armistice, although it remained formally at war with the USSR and the United Kingdom until ratification by the 1947 Paris Peace Treaty. Germany and Finland had been at war with the Soviet Union (USSR) since Operation Barbarossa began in June 1941, co-operating closely in the Continuation War and Operation Silver Fox with the German 20th Mountain Army (German: 20. Gebirgsarmee) stationed in Lapland. 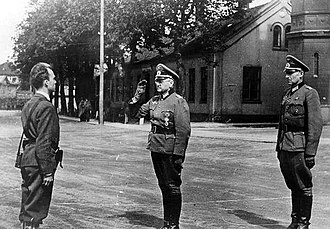 As early as the summer of 1943, the German high command Oberkommando der Wehrmacht (OKW) began making plans for the eventuality that Finland might negotiate a separate peace agreement with the Soviet Union. The Germans planned to withdraw their forces northward in order to shield the nickel mines near Petsamo (Russian: Pechenga). During the winter of 1943–1944, Germans improved the roads from northern Norway to northern Finland by extensive use of prisoner-of-war labour in certain areas. Casualties among the labouring prisoners were high, in part because many of them had been captured in southern Europe and were still in summer uniform. In addition, the Germans surveyed defensive positions and planned to evacuate as much materiel as possible from the region, and meticulously prepared for withdrawal. On 9 April 1944, the German withdrawal plan was designated as Operation Birke. In June 1944, the Germans started constructing fortifications against a possible enemy advance from the south. The accidental death of Generaloberst Eduard Dietl on 23 June 1944 brought Generaloberst Lothar Rendulic to the command of the 20th Mountain Army. Our German brothers-in-arms will forever remain in our hearts. The Germans in Finland were certainly not the representatives of foreign despotism but helpers and brothers-in-arms. But even in such cases foreigners are in difficult positions requiring such tact. I can assure you that during the past years nothing whatsoever happened that could have induced us to consider the German troops intruders or oppressors. I believe that the attitude of the German Army in northern Finland towards the local population and authorities will enter our history as a unique example of a correct and cordial relationship [...] I deem it my duty to lead my people out of the war. I cannot and I will not turn the arms which you have so liberally supplied us against Germans. I harbour the hope that you, even if you disapprove of my attitude, will wish and endeavour like myself and all other Finns to terminate our former relations without increasing the gravity of the situation. XIX Mountain Corps (German: XIX Gebirgskorps) in the far-northern Petsamo area beside the Arctic Ocean. XXXVI Mountain Corps in the area of Salla and Alakurtti, eastern Lapland. XVIII Mountain Corps was in charge of the southern flank at Kestenga and Uhtua. The III Corps (Finnish: III armeijakunta, III AK) led by Lieutenant General Hjalmar Siilasvuo gradually shifted from the defence of the Vyborg–Petrozavodsk Offensive to the latitude of Oulu and was fully repositioned by 28 September. The III Corps consisted of the 3rd, 6th and 11th Divisions as well as the Armoured Division. Additionally, four battalions formerly under German command were converted into separate detachments. Two regiments, Infantry Regiment 15 and Border Jaeger Regiment, reinforced the III Corps. In total, Finnish ground forces in the Lapland theatre were 75,000 strong. The number of Finnish troops dropped sharply as the Germans withdrew and the Finnish Army was demobilised; by December 1944 only 12,000 were left. Due to this, the Finnish soldiers were mostly conscripts, as veterans were transferred away from the front. 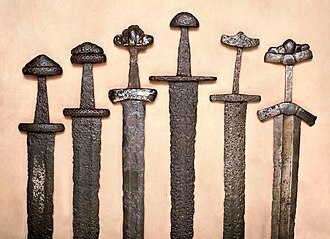 The latter part of the war was therefore dubbed the "Children's Crusade" (Finnish: lasten ristiretki) in Finland. The announcement on 2 September 1944 of the ceasefire and the Moscow Armistice between Finland and the USSR triggered frantic efforts by the 20th Mountain Army, which immediately started Operation Birke. 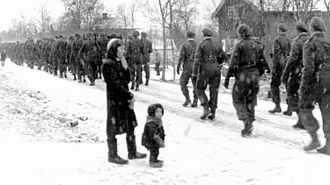 Large amounts of materiel were evacuated from southern Finland and harsh punishments were set for any hindering of the withdrawal. 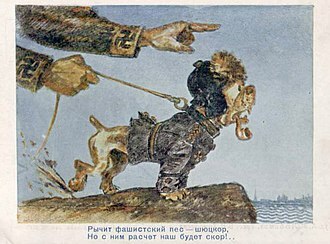 The Germans began to seize Finnish shipping. Finland responded by denying ships to sail from Finland to Germany and nearly doomed the materiel evacuations of Operation Birke. So the order was rescinded and then the Finns, in turn, allowed Finnish tonnage to be used to hasten the German evacuations. The first German naval mines were laid in Finnish seaways on 14 September 1944, allegedly for use against Soviet shipping, though since Finland and Germany were not yet in open conflict, the Germans warned the Finns of their intent. 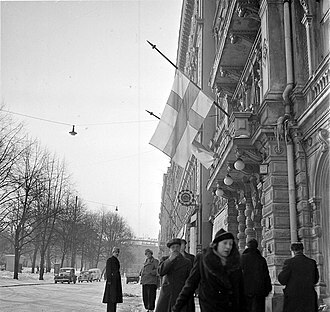 As the Finns wanted to avoid devastation of their country, and the Germans wished to avoid hostilities, both sides strove for the evacuation to be performed as smoothly as possible. 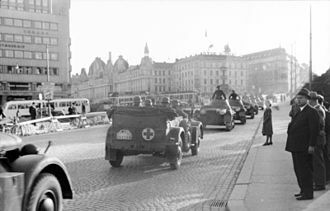 By 15 September, a secret agreement had been reached by which the Germans would inform the Finns of their withdrawal timetable, who would then allow the Germans to use Finnish transportation for evacuation as well as to destroy roads, railroads and bridges behind their withdrawal. In practice, friction soon arose both from the destruction caused by the Germans and from the pressure exerted on the Finns by the Soviets. On 15 September 1944, the Kriegsmarine tried to land and seize the island of Suursaari in Operation Tanne Ost to secure shipping routes in the Gulf of Finland. The USSR sent aircraft to support the Finnish defenders and the Kriegsmarine failed to capture Suursaari. 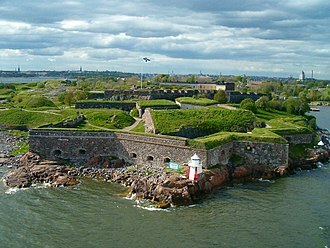 After the landing attempt, a Finnish coastal artillery fort at Utö island prevented German net-laying ships from passing into the Baltic Sea on 15 September, as they had been ordered to intern the German forces. On 16 September, a German naval detachment consisting of the German cruiser Prinz Eugen escorted by five destroyers arrived at Utö. The German cruiser stayed out of range of the Finnish 152 mm (6.0 in) guns and threatened to open fire with its artillery. In order to avoid bloodshed, the Finns allowed the net-layers to pass. In response to the German operations, Finland immediately removed its shipping from the joint evacuation operation, but the evacuation from Lapland to Norway progressed according to the secret agreement. The last German convoy departed from Kemi in northern Finland on 21 September 1944 and was escorted by submarines and, starting from south of Åland Islands, by German cruisers. The lack of Finnish aggression did not go unnoticed by the Allied Control Commission monitoring adherence to the Moscow Armistice and the USSR threatened to occupy Finland if the terms of expelling or disarming the Germans were not met. Thus, Lieutenant General Siilasvuo ordered the III Corps to engage. The first hostilities between the Finnish Army and the 20th Mountain Army in Lapland took place 20 km (12 mi) southwest of Pudasjärvi, at around 08:00 on 28 September 1944, when Finnish advance units first issued a surrender demand and then opened fire on a small German rear guard contingent. 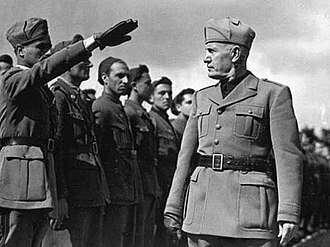 This took the Germans by surprise as the Finns had previously agreed to warn them should they be forced to take hostile action against them. After the incident, partial contact was re-established. The Germans told the Finns they had no interest in fighting them, but would not surrender. The next incident took place on 29 September at a bridge crossing the Olhava river between Kemi and Oulu. Finnish troops, who had been ordered to take the bridge intact, were attempting to disarm explosives rigged to the bridge when the Germans detonated them, demolishing the bridge and killing, among others, the Finnish company commander. On 30 September, the Finns attempted to encircle the Germans at Pudasjärvi into a pocket (called a motti in Finnish, originally meaning 1 m3 (35 cu ft) of firewood) with flanking movements through the forests and managed to cut the road leading north. By then, however, the bulk of the German force at Pudasjärvi had already left, leaving behind only a small detachment which, after warning the Finns, blew up a munitions dump. The risky landings for the Battle of Tornio, on the border with Sweden next to the Gulf of Bothnia, began on 30 September 1944 when three Finnish transport ships (SS Norma, SS Fritz S and SS Hesperus) departed from Oulu towards Tornio without any air or naval escorts. They arrived on 1 October and disembarked their troops without any interference. The landing had originally been planned as a diversionary raid, with the main assault to take place at Kemi, where the Finnish battalion-sized Detachment Pennanen (Finnish: Osasto Pennanen) was already in control of important industrial facilities on the island of Ajos. Various factors—including a stronger than expected German garrison at Kemi already alerted by local attacks—made the Finns switch the target to Röyttä, Tornio's outer port. The Finns initially landed the Infantry Regiment 11 (Finnish: Jalkaväkirykmentti 11) of the 3rd Division, which, together with a Civic Guard-led uprising at Tornio, managed to secure both the port and most of the town as well as the bridges over the Tornio River. The Finnish attack soon bogged down due to disorganisation caused in part by alcohol looted from German supply depots as well as stiffening German resistance. During the ensuing battle, the German Divisionsgruppe Kräutler, a reinforced regiment, conducted several counterattacks to retake the town as it formed an important transportation link between the two roads running parallel to the Kemi and Tornio Rivers. As ordered by Generaloberst Rendulic, the Germans took 262 Finnish civilian hostages in an attempt to trade them for captured soldiers. The Finns refused and the civilians were later released on 12 October. A second wave of four Finnish ships arrived on 2 October and a third wave—three ships strong and with Brewster F2A fighter escorts—landed its troops with only a single ship being lightly damaged by German Stuka dive bombers. On 4 October, bad weather prevented Finnish air cover from reaching Tornio, leaving the fourth landing wave vulnerable. Stuka bombers scored several hits and sank the SS Bore IX and the SS Maininki alongside the pier. The fifth wave on 5 October suffered only light shrapnel damage despite being both shelled from shore and bombed from the sky. The Finnish Navy's gunboats Hämeenmaa, Uusimaa and VMV-class patrol boats 15 and 16 arrived with the sixth wave just in time to witness German Focke-Wulf Fw 200 Condor bombers attacking the shipping at Tornio with Henschel Hs 293 glide bombs without results. Arrival of naval assets allowed the Finns to safely disembark heavy equipment to support the battle and around 12,500 soldiers in total arrived during the landings. 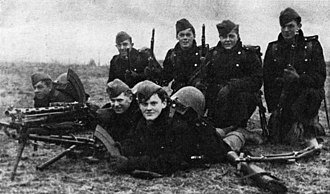 The German forces were reinforced by the 2nd Company of Panzer Abteilung 211, two infantry battalions and the MG-Ski-Brigade Finnland. 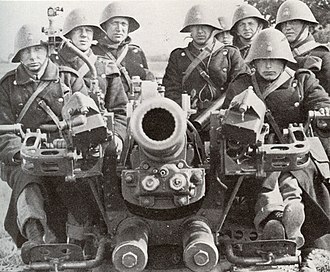 The Finnish Infantry Regiment 11 was reinforced with Infantry Regiments 50 and 53. The Finns beat back German counterattacks for a week until 8 October, when the Germans withdrew from Tornio. Meanwhile, Finnish troops were advancing overland from Oulu towards Kemi with the 15th Brigade making only slow progress against meager German resistance. Their advance was hampered by the destruction of roads and bridges by withdrawing Germans as well as a lack of spirit in both the Finnish troops and their leaders. The Finns attacked Kemi on 7 October, attempting to encircle the Germans into a motti with a frontal attack by the 15th Brigade and an attack from the rear by Detachment Pennanen. Strong German resistance, civilians in the area, and looted alcohol prevented the Finns from fully trapping all the Germans. Though Finnish forces took several hundred prisoners, they failed to prevent the Germans from demolishing the bridges over the Kemi River once they began to withdraw on 8 October. From the start of the war, the Germans had been systematically destroying and mining the roads and bridges as they withdrew in a delaying strategy. 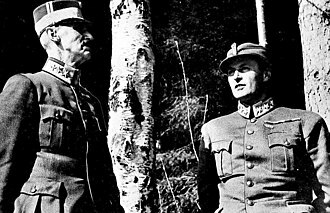 After the first hostilities took place, Generaloberst Rendulic issued several orders on destroying Finnish property in Lapland. On 6 October, a strict order was issued which classified only military sites or military necessities as targets. On 8 October, the Germans bombed and heavily damaged factory areas of Kemi. On 9 October, the demolition order was extended to include all governmental buildings with the exception of hospitals. On 13 October, "all covers, installations and objects that can be used by an enemy" were ordered to be destroyed in northern Finland in a scorched-earth strategy. 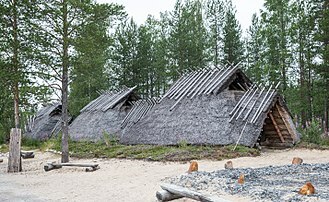 Though it was logical for the Germans to deny pursuing forces any shelter, it had a very limited effect on the Finns, who always carried tents for shelter. When Allied advances continued, German high command OKW and 20th Mountain Army leadership asserted that it would be perilous to maintain positions in Lapland and east of Lyngen municipality in northern Norway. Likewise, Minister of Armaments and War Production Albert Speer had determined that German nickel stores were sufficient and holding Petsamo was unnecessary. Preparations for further withdrawal began. Hitler accepted the proposal on 4 October 1944, and the plan was codenamed Operation Nordlicht on 6 October. Instead of a gradual withdrawal from southern Lapland into fortified positions further to the north while evacuating materiel, as in Operation Birke, Operation Nordlicht called for a rapid and strictly organised withdrawal directly behind Lyngen Fjord in Norway, while under pressure from harassing enemy forces. As the Germans withdrew towards the town of Rovaniemi, a road junction point in Lapland, and Norway, movement was mostly limited to the immediate vicinity of Lapland's three main roads, which constricted military activities considerably. In general, the withdrawal followed a pattern in which advancing Finnish units would encounter German rear guards and attempt to flank them on foot; the destroyed road network preventing them from bringing up artillery and other heavy weapons. As Finnish infantry slowly picked their way through the dense woods and marshland, the motorised German units would simply drive away and take up positions further down the road. 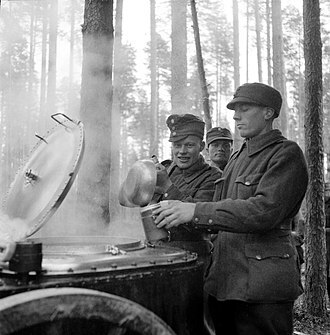 A Finnish soldier cooking with his dog, Hupi ("Joy"), at Leivejoki, 40 km (25 mi) south of Rovaniemi, in October 1944. Hupi followed its master during three wars—according to the photographer. On 7 October, the Finnish Jaeger Brigade forced the German Mountain Regiment 218 to fight a delaying action off of their pre-set timetable at Ylimaa, some 65 km (40 mi) south of Rovaniemi. The opposing forces were roughly even numerically and the lack of heavy weapons and exhaustion from long marches prevented the Finnish brigade from trapping the defending Germans before it received permission to withdraw on 9 October after causing substantial losses to the Finns. On 13 October, the tables were turned at Kivitaipale, some 20 km (12 mi) south of Rovaniemi, and only a fortuitous withdrawal by the Mountain Regiment 218 saved the Finnish Infantry Regiment 33 from being severely mauled. The German withdrawal allowed the Finns to surround one of the delaying battalions, but Mountain Regiment 218 returned and managed to rescue the stranded battalion. The Germans initially concentrated on destroying governmental buildings in Rovaniemi, but the fire spread and destroyed housing beyond that. 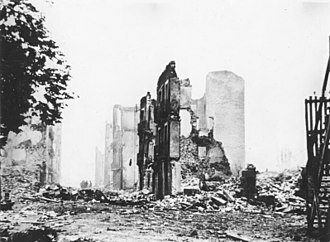 German attempts to fight the fire failed and a train loaded with ammunition caught fire at the railroad station on 14 October, resulting in an explosion which spread the fire throughout the primarily wooden buildings of the town. The first Finnish units to reach the vicinity of Rovaniemi on 14 October were components of the Jaeger Brigade advancing from Ranua. 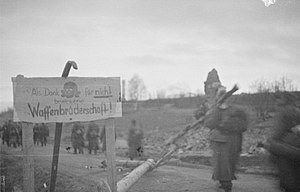 The Germans repelled Finnish attempts to capture the last intact bridge over the Kemi river and then left the mostly scorched town to the Finns on 16 October 1944. Finnish demobilisation and difficult supply routes took their toll. At Tankavaara, 60 km (37 mi) south of Ivalo, barely four battalions of the Finnish Jaeger Brigade attempted, unsuccessfully, on 26 October to dislodge the twelve-battalion-strong German 169th Infantry Division, entrenched in prepared fortifications. Finnish forces gained ground only on 1 November, when the Germans withdrew northward. Likewise, on 26 October at Muonio, 200 km (120 mi) south-east of defensive positions in Norway, the German 6th SS Mountain Division Nord reinforced by Kampfgruppe Esch again had numerical and material superiority with artillery and armoured support. This prevented the Finnish 11th Division from gaining the upper hand despite initially fairly successful flanking operations by Infantry Regiments 8 and 50. The Finns planned to isolate the SS Mountain Division, marching from the direction of Kittilä in the south-east, before Muonio and thereby entrap it within a motti. The delaying action by Kampfgruppe Esch and the destroyed road network thwarted the Finnish strategy. 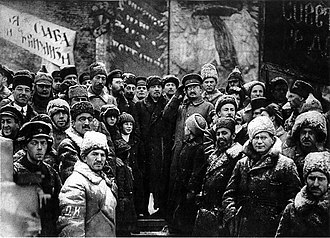 The Soviet Karelian Front, led by General Kirill Meretskov, initiated its Petsamo–Kirkenes Offensive and started pushing the XIX Mountain Corps towards Norway from Soviet territory along the Arctic coast on 7 October. By 25 October, the front captured the Norwegian port of Kirkenes. The 14th Army pursued German troops withdrawing southwest from Petsamo and Kirkenes approximately 50 km (31 mi) into Finnish territory along Lake Inari. By 5 November, Soviet reconnaissance troops met with the Finnish Army at Ivalo. Likewise, the 26th Army had followed the withdrawing XVIII Mountain Corps around 50 km (31 mi) over the Finnish border in southern Lapland to Kuusamo and Suomussalmi, but left the area in November. The Soviet troops in Ivalo did not leave until September 1945. For most practical purposes, the war in Lapland concluded in early November 1944. After holding Tankavaara, the Germans swiftly withdrew from north-eastern Lapland at Karigasniemi on 25 November 1944. The Finnish Jaeger Brigade pursuing them had by then been mostly demobilised. In north-western Lapland, only four battalions of Finnish troops were left on 4 November and by February 1945, a mere 600 men. The Germans continued their withdrawal but remained in positions first at Palojoensuu village, 150 km (93 mi) from Norway, in early November 1944. From there, they moved to the fortified Sturmbock-Stellung position along the Lätäseno River, 100 km (62 mi) from Norway, on 26 November. The German 7th Mountain Division held these positions until 10 January 1945 when northern Norway had been cleared and positions at Lyngen Fjord were manned. On 12 January, the Finnish minelayer Louhi was sunk with the loss of its ten sailors in the Gulf of Bothnia by the German submarine U-370 using an acoustic G7es torpedo. Some German positions defending Lyngen extended over to Kilpisjärvi on the Finnish side of the border, but no major activity occurred. 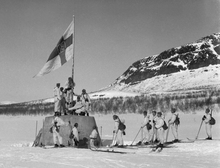 The Wehrmacht completely withdrew from Finland by 27 April 1945 and a Finnish battle patrol raised the flag on the three-country cairn between Norway, Sweden and Finland to celebrate the end of the wars. 3,700 km (2,300 mi) of phone and telegram lines. 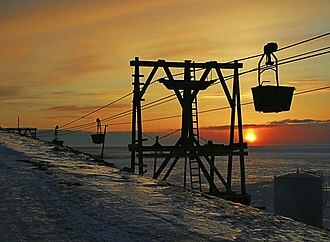 The reconstruction of Lapland lasted till the early 1950s, although the railroad network was not functional until 1957. In addition to the demolished infrastructure, the Wehrmacht extensively laid mines and explosives in the area. By 1973, over 800,000 cartridges, 70,000 mines and 400,000 other explosives had been demined in Lapland, a total of 1,142,000 units. ^ Minor air support in Operation Tanne Ost only. Further extent of Soviet belligerence in the Lapland War is debatable. Gebhardt and Ziemke mention the war and the Soviet Petsamo–Kirkenes Offensive as strategically overlapping or as a continuum of events without a clear stance. Jowett and Snodgrass write about the war as a conflict between German and Finnish troops, but include the offensive in the war's timeline. Zabecki begins by mentioning that Lapland extends to Norway and the USSR. He states that the "Finnish War of Lapland" started between Finland and Germany, but links the Soviet offensive to it. Jaques writes the offensive as a part of the war in a dictionary of battles. ^ Most of the 214,000 Germans served until the end of August 1944, but the number plummeted as the Germans withdrew or proceeded to Norway. ^ Most of the 75,000 Finns served until the end of October 1944, but the number dropped to 12,000 soldiers in December 1944. ^ a b Elfvengren 2005, pp. 1124–1149. ^ a b Kurenmaa & Lentilä 1980, pp. 1150–1162. ^ a b c Ahto 1980, p. 296. ^ a b Gebhardt 1989, p. 2. ^ Nenye et al. 2016, p. 275. ^ Ziemke 2002, pp. 391–393. ^ a b Ahto 1980, pp. 13–14. ^ Ziemke 2002, pp. 393–394. ^ a b Kijanen 1968, p. 225. ^ Ziemke 2002, p. 394. ^ Grooss 2017, p. 231. ^ a b Ziemke 2002, p. 395. ^ Ahto 1980, p. 150. ^ a b Grooss 2017, p. 232. ^ Nenye et al. 2016, p. 533. ^ Jowett & Snodgrass 2012, p. 17. ^ Ahto 1980, pp. 216–218. ^ Gebhardt 1989, pp. 31–32. ^ Gebhardt 1989, pp. 72–73. ^ Gebhardt 1989, pp. 82–83. ^ Nevakivi 1994, pp. 55, 58. ^ a b c Ahto 1980, pp. 294–295. ^ Ziemke 2002, p. 396. ^ a b Kallioniemi 1989, p. 59. ^ Ursin 1980, pp. 383–385. ^ Arrela 1983, pp. 5–8. Ahto, Sampo (1980). Aseveljet vastakkain – Lapin sota 1944–1945 [Brothers in Arms Opposing Each Other – Lapland War 1944–1945] (in Finnish). Helsinki: Kirjayhtymä. ISBN 978-951-26-1726-5. Arrela, Veli (1983). Tuhkasta nousi Lappi: Lapin jälleenrakentamista sanoin ja kuvin (in Finnish). Lapin maakuntaliitto. ISBN 9519947086. Elfvengren, Eero (2005). "Lapin sota ja sen tuhot". In Leskinen, Jari; Juutilainen, Antti. Jatkosodan pikkujättiläinen (in Finnish). Werner Söderström Osakeyhtiö. ISBN 978-951-0-28690-6. Kallioniemi, Jouni (1989). Lapin sota 1944–1945: Suursodan loppunäytös pohjoisessa (in Finnish). Teospiste. ISBN 952-90-1285-3. Kijanen, Kalervo (1968). Suomen Laivasto 1918–1968 II (in Finnish). Helsinki: Meriupseeriyhdistys/Otava. ISBN 978-951-95298-2-0. Kurenmaa, Pekka; Lentilä, Riitta (2005). "Sodan tappiot". In Leskinen, Jari; Juutilainen, Antti. Jatkosodan pikkujättiläinen (in Finnish). Werner Söderström Osakeyhtiö. ISBN 978-951-0-28690-6. Nevakivi, Jukka (1994). Ždanov Suomessa − Miksi meitä ei neuvostoliittolaistettu? (in Finnish). Otava. ISBN 951-1-13274-1. Ursin, Martti (1980). Pohjois-Suomen tuhot ja jälleenrakennus saksalaissodan 1944–1945 jälkeen (in Finnish). Pohjois-Suomen historiallinen yhdistys. ISBN 951-95472-0-7. Gebhardt, James F. (1989). The Petsamo-Kirkenes Operation: Soviet Breakthrough and Pursuit in the Arctic, October 1944 (PDF). Combat Studies Institute, U.S. Army Command and General Staff College. ISBN 9781780392677. Grooss, Poul (2017). The Naval War in the Baltic 1939–1945. Seaforth Publishing. ISBN 9781526700032. Jaques, Tony (2007). Dictionary of Battles and Sieges: P–Z. Greenwood Publishing Group. ISBN 9780313335396. Lunde, Henrik O. (2011). Finland's War of Choice: The Troubled German–Finnish Alliance in World War II. Newbury: Casemate Publishers. ISBN 978-1-61200-037-4. Zabecki, David T. (2015). World War II in Europe: An Encyclopedia. Routledge. ISBN 9781135812492. Kulju, Mika (2017). Käsivarren sota – lasten ristiretki 1944–1945 (in Finnish). Gummerus. ISBN 9789512408559. Virkkunen, Juhani (2011). Miinojen ja räjähteiden siviiliuhrit Pohjois-Suomessa 1944-1949 (in Finnish). ISBN 978-952-93-0414-1. Wendisch, Irja (2006). Salatut lapset – Saksalaissotilaiden lapset Suomessa (in Finnish). Ajatus Kirjat. ISBN 951-20-7065-0. 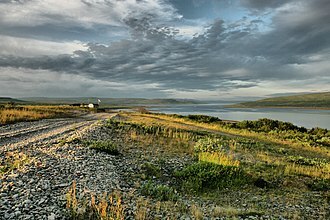 Wikimedia Commons has media related to Lapland War. In 1934, at Vemork, Norsk Hydro built the first commercial plant capable of producing heavy water as a byproduct of fertilizer production. It had a capacity of 12 tonnes per year, during World War II, the Allies decided to remove the heavy water supply and destroy the heavy water plant in order to inhibit the Nazi development of nuclear weapons. Raids were aimed at the 60 MW Vemork power station at the Rjukan waterfall in Telemark, prior to the German invasion of Norway on 9 April 1940, the Deuxième Bureau removed 185 kg of heavy water from the plant in Vemork in then-neutral Norway. The plants managing director, agreed to lend the heavy water to France for the duration of the war, the French transported it secretly to Oslo, to Perth, and to France. The plant remained capable of producing heavy water, the Allies remained concerned that the occupation forces would use the facility to produce more heavy water for their weapons programme. Between 1940 and 1944, a sequence of actions, by the Norwegian resistance movement—as well as Allied bombing—ensured the destruction of the plant. These operations—codenamed Grouse and Gunnerside—finally managed to knock the plant out of production in early 1943, in Operation Grouse, the British Special Operations Executive successfully placed four Norwegian nationals as an advance team in the region of the Hardanger Plateau above the plant in October 1942. The unsuccessful Operation Freshman was mounted the following month by British paratroopers, they were to rendezvous with the Norwegians of Operation Grouse and this attempt failed when the military gliders crashed short of their destination, as did one of the tugs, a Handley Page Halifax bomber. The other Halifax returned to base, but all the participants were killed in the crashes or captured, interrogated. 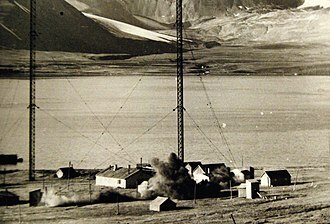 In February 1943, a team of SOE-trained Norwegian commandos succeeded in destroying the facility with a second attempt. Operation Gunnerside was evaluated by SOE as the most successful act of sabotage in all of World War II and these actions were followed by Allied bombing raids. The Germans elected to cease operation and remove the heavy water to Germany. Norwegian resistance forces sank the ferry, SF Hydro, on Lake Tinn, enrico Fermi and his colleagues studied the results of bombarding uranium with neutrons in 1934. The first person who mentioned the idea of nuclear fission in 1934 was Ida Noddack, News of this discovery spread quickly among physicists and it was realised that if chain reactions could be controlled, fission might lead to a new source of great power. 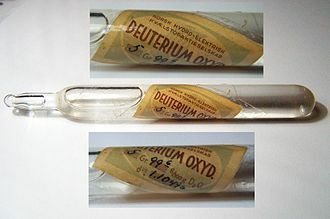 What was needed was a substance that could moderate the energy of neutrons emitted in radioactive decay, Heavy water and graphite were the prime candidates for moderating the energy of neutrons. When Nazi Germany investigated the production of a bomb, a range of options was identified. Although historical records provide limited detail on the German decision to pursue the heavy water approach, although ultimately unsuccessful, the approach chosen has been demonstrated to be technically viable, Plutonium-239 makes an effective weapons material. On 22 June 1941, the Soviet Union was attacked by troops of the Third Reich and Axis powers, and as a consequence, the Allied Power of Great Britain was considered attacked. In the framework of the military assistance for this country, Winston Churchill commissioned the British ambassador in Moscow, Stafford Cripps. 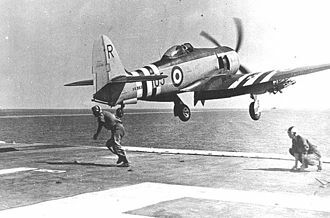 At the same time, pilots of the VVS were briefed on British aircraft in order to be able to use them at a date. 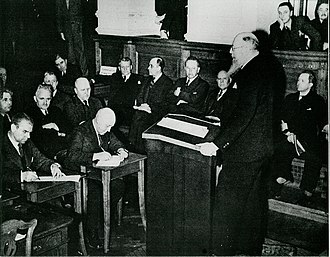 During discussions in London on 9 July between British admirals and a Soviet delegation, as well as a session by day appointed for this purpose. On 12 July 1941, a British commission met representatives of the Royal Navy, on their recommendation, a decision was made to use the Vaenga airfield for the operation. 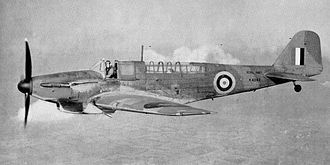 The contingent was originally meant to consist of two squadrons of Hawker Hurricanes and one each of twin-engined Bristol Blenheims and Bristol Beaufighters. Neville Ramsbottom-Isherwood was appointed their commander, the pilots had been taken from 81 Sqn and No.504 Squadron RAF or had just completed their training. The majority of the airmen embarked together with 15 Hurricanes packed in crates on the steamship RMS Llanstephan Castle at the Scapa Flow anchorage in the Orkney Islands, the remaining 24 aircraft were stationed with their pilots on board the aircraft carrier HMS Argus. 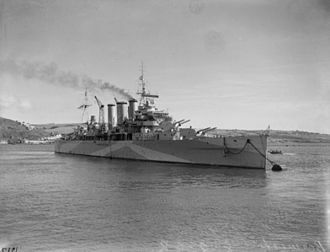 The ships departed from Scapa Flow on 17 August 1941, together with the Dervish Convoy, RMS Llanstephan Castle reached its destination port of Archangelsk on the night of 31 August /1 September. The 15 Hurricanes were assembled at the airfield at Keg-Ostrow. The aircraft from HMS Argus cruising off the coast began their flights on 7 September. On 10 September Ramsbottom-Isherwood declared his unit ready for duty, a day later, the first six mission flights took place. The first encounter with German aircraft occurred on 12 September, five Hurricanes came upon an equal number of Messerschmitt Bf 109s of Luftflotte 5, which were flying fighter cover for a Henschel Hs 126 reconnaissance aircraft. In the subsequent skirmish, three Bf 109s were shot down, the British lost one Hurricane, pilot Flight Sergeant N. H.
The Luosto inselberg from air.